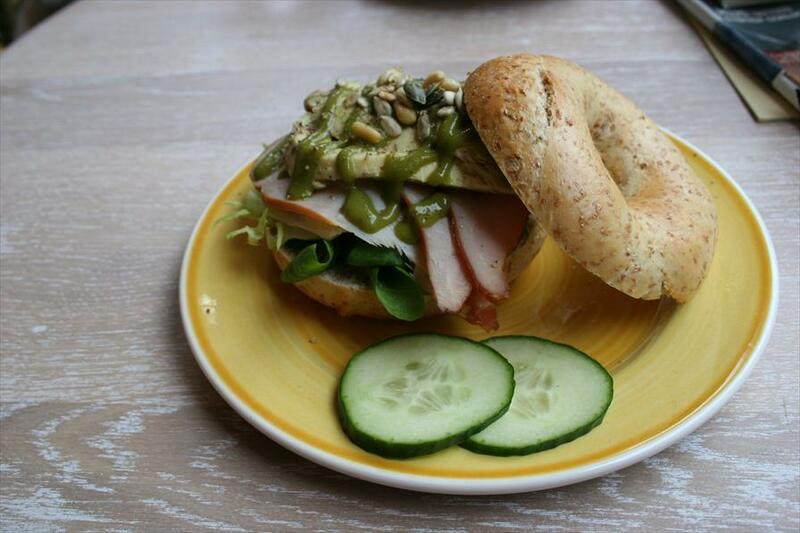 Bagels & Beans - Restaurants & Cafés in Amsterdam. In Bagels & Beans’ small lunchroom, you’ll get the most delicious bagels. They have bagels in all shapes and sizes, including the richly covered sesame bagel with salmon. Bagels & Bean only uses daily fresh ingredients and provides you with delicious coffee and home made cheesecake. The sandwiches and coffee can easily be ordered for take out if you wish to take a stroll. Bagels & Beans is a contemporary food service concept. Contrary to what many people think these stores aren’t inspired by the US, but by products, colors and scents from beautiful Southern France’s city Nice. Bagels & Beans wants to create an atmosphere of joy of life through this motto: “everyone should leave happier than he or she came in”. On de Haarlemmerdijk, the lunchroom is also situated in one of the Netherlands’ nicest shopping streets. The atmosphere in the small lunchroom is remarkably warm and homely, especially because of the summery colors in which the walls are painted and the sunny appeal of the store. You can relax and enjoy fine sandwiches at a great price which is rare in Amsterdam nowadays. Bagels & Beans intends to grow to 50 stores in the Netherlands by 2008. Bagels & Beans was the first company in the Netherlands that brought the bagel, which is so popular in the US. By now, the bagel has grown into a very popular kind of bread. With 24 existing locations and 4 new locations in preparation, Bagels & Beans has changed the face of the traditional lunchroom forever.